We offer special events & festival website design for music festivals, food festivals, film festivals, and everything in between.. We’re a team of award-winning creatives who specialize in crafting unique and engaging digital experiences that your visitors will love. 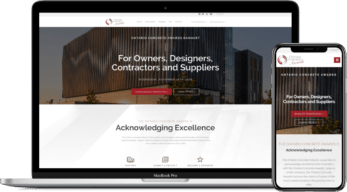 Our websites are guaranteed to get you the results you’re looking for – and they look good doing it. Building a great website isn’t just about building something that looks beautiful. We take the approach of understanding your business goals and objectives first and how we can marry them with the needs and demands of your customer. Once we have that understanding, we move on to execution. You should focus on the stuff that matters. Let us create a website for your special event or festival so we can help you spread the word, sell more tickets, and get you noticed. Contact us today for a complimentary site review and we’ll be happy to help you tackle your next big project.